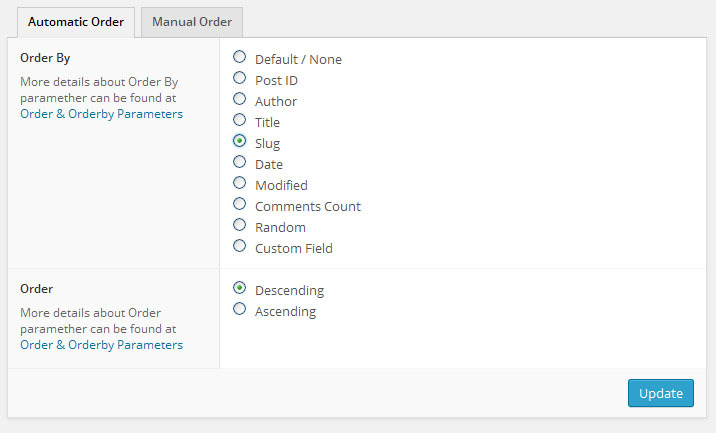 The Advanced Post Types Order plugin support two types of order, Manual and Automatic. The Manual Order type consist of a drag and drop sortable AJAX-ed list which allow manual customization of order. The interface also include additional functionality to help with post filtering, which include date filtering, search, move on top, move on bottom of list, go to edit post. etc. Extensions can be implemented for the interface using filters. Also a Show Thumbnail feature is included to allow an easier object identification within the list. The Automatic Order type will allow sort automatization, there is no need for manual maintenance as the order is updated on the fly. All new posts which match this sort will fall under the same order rules. 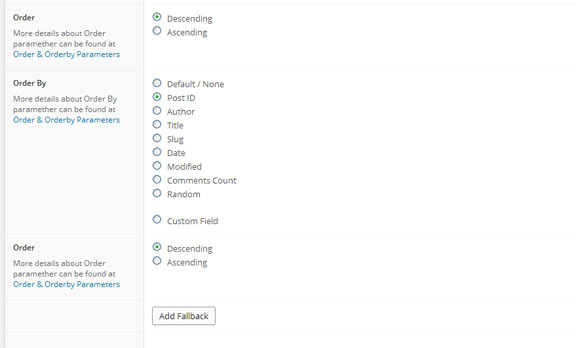 Multiple order attributes are allowed through fallback functionality, including multiple custom fields.